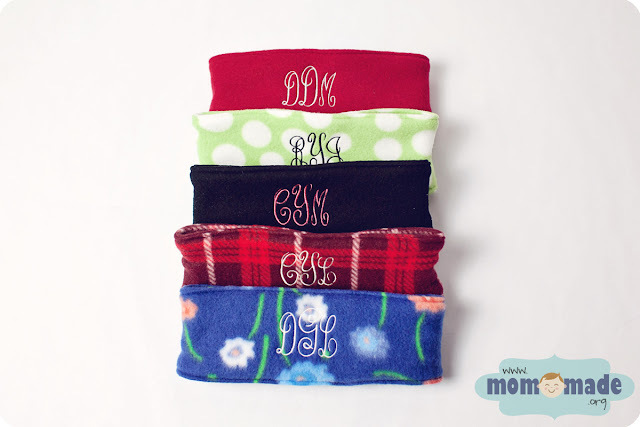 Mom-Made's Fleece Ear Warmers are a must during the colder months. Lined with batting, they are ultra soft and warm. The back adjusts with Velcro. 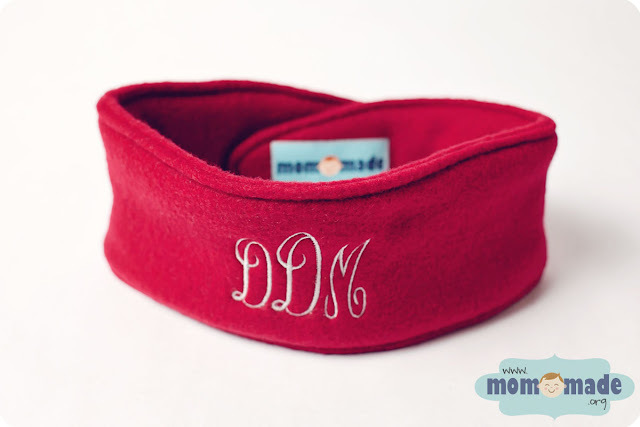 No more messing up your hair putting on a headband! 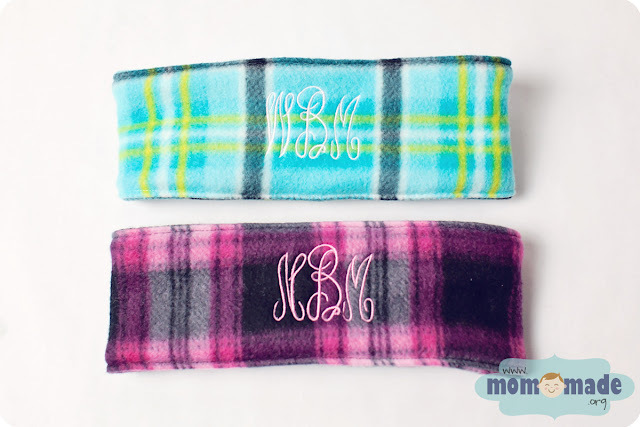 These can be worn on top of your hair or under a ponytail (great for those who run or participate in outdoor sports). 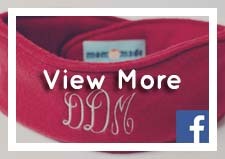 Ear warmers also include personalization in the form of an initial monogram or name on the front. Please indicate name or initials (format: first LAST middle) under instructions to seller when checking out. 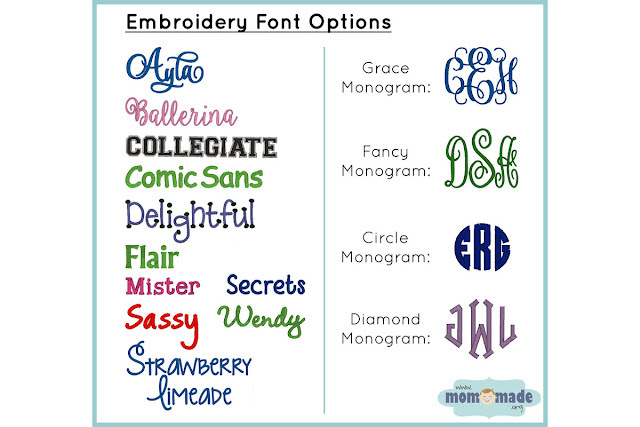 Names longer than six letters will be subject to an additional embroidery fee. Washing Instructions: Machine wash on delicate cycle, hang dry. A warm iron may be used.